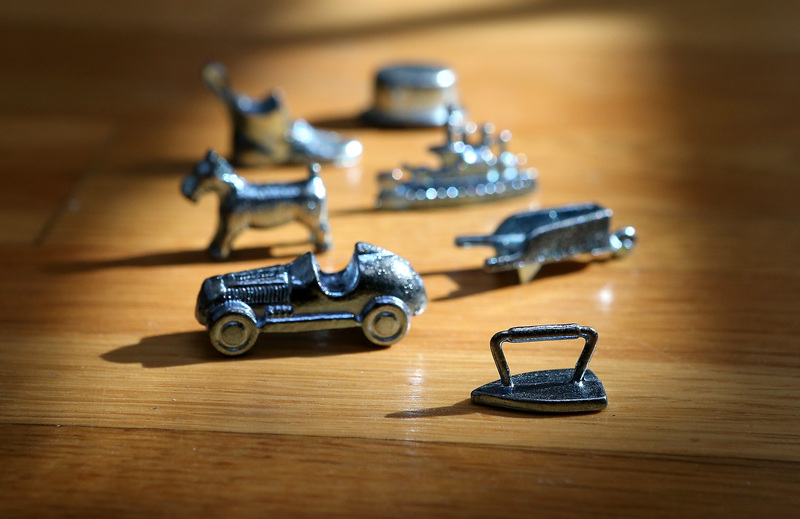 If you loved playing Monopoly as a child, admit it — it was because of all that fake money, right? The game allowed you to feel fabulously wealthy as you bought up property around the U.S. and charged your opponents exorbitant rent, driving them to bankruptcy. Well, now that you're an adult, you can play Monopoly and actually get rich — if you live in France. To celebrate the 80th anniversary of the game's launch in the country, Monopoly is being sold with real money in France. You can think of it as prize money, but we're hoping that whoever wins one of these special sets will still play the game using the real cash. Because what's more baller than that? Marking the 80th anniversary, Monopoly maker Hasbro is producing and selling 80 game sets hidden with real currency. However, only one will include the jackpot prize, which replaces every game note with real money for a total of 20,580 euros ($23,268). Another 10 sets will have five real 20-euro notes, two 50-euro notes, and one 100-euro note ($340), and 69 sets will have five 10-euro notes and five 20-euro notes ($170). The special promotion was treated like a secret operation, which was carried out in the town of Creutzwald, where the game is packed before being distributed throughout France. The game makers even brought in a real-life bailiff to help count and recount the authentic bills. Very apropos considering the game involves bankrupting others. When they asked me, I was giddy as a child. For those living in France and eager to start this Monopoly treasure hunt, there is a subtle telltale sign of real money inside — the special edition boxes are slightly thicker than the regular games. It's a detail Hasbro perhaps wanted to leak since it only further encourages people to go out and buy the game. There is no difference in weight, however, between the regular games and the ones with real currency. We wanted to do something unique. When we asked our French customers, they told us they wanted to find real money in their Monopoly boxes. Their answer totally makes sense. It may be one of the most beloved wholesome family pastimes, but Monopoly was cutthroat and essentially rewarded greed (I mean, it's called Monopoly, after all). The game required players to buy as much property as possible, build houses and hotels on the property, and charge other players rent with the goal of bankrupting them. Players also have the possibility of going to jail, paying taxes, and mortgaging property. The winner is the last one in the game after every opponent has been eliminated through bankruptcy. For such a mercilessly capitalist game built on the most cutthroat principles of capitalism, there's no better way to celebrate its anniversary. Just imagine how good it would feel to win the game and make it rain with real money.